Homeowners Q&A: We lost a piece of property due to back taxes. The property was in the names of my husband and his two sisters and brother. None of them would help us pay the taxes, so they were not paid. I received a letter that the property had been sold, but I could pay the tax and redeem the property. That is what I want to do, but only in my name and my husband’s name, as the other relatives refuse to help pay the taxes or maintain the property. Can this be done? A: When you say that you lost the property, you may not understand the process of how tax sales work. The property is owned by your husband and his siblings. At this point they still own the property even though there has been a tax sale. So let’s give a brief summary of how real estate tax sales work. In places where homeowners pay real estate taxes, those taxes are billed annually and generally paid once or twice a year. If the homeowner fails to make a payment, the property goes into the delinquent rolls. At some point — say one year or more — the taxing body sells the delinquent taxes to the highest bidder in an auction. Tax buyers are willing to pay the taxing body for the delinquent tax amounts because they know that if the tax bills remain unpaid they can come to own the property for the amount they paid at the tax sale. (This is what happened not too long ago in San Francisco, where two enterprising investors picked up small parcel in the middle of one of the most expensive blocks in the city for less than $1,000.) If the taxes are redeemed, then the investors get their money back plus interest at a hefty amount. For tax buyers, buying at tax sales can be a great business model. On the other side is the homeowner. 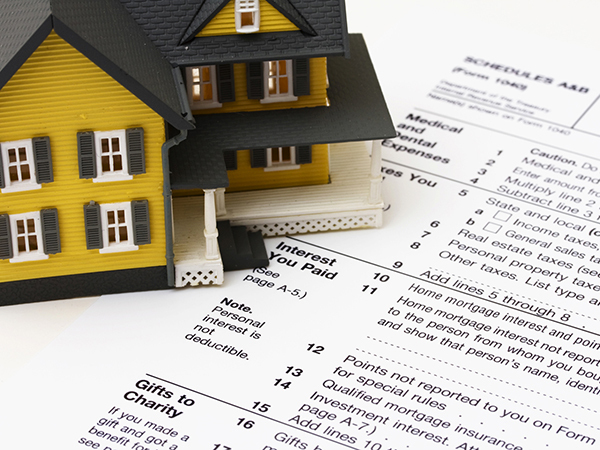 The homeowner usually will pay up to avoid losing the home to back taxes. So, once the tax buyer has purchased the taxes, the local municipality may send out an additional notice to the homebuyer telling him or her that they have a certain amount of time to redeem the tax sale. That means that the homeowner — in your case your husband and his siblings — can pay what is owed and bring the property back to current status on the tax rolls. If the taxes are redeemed the owner gets to keep the property. In your situation if you redeemed the taxes, you’d be redeeming the taxes for your husband and his siblings but you would not become the owner of the property. On the other hand, if your husband and his siblings do nothing, after a year or two, depending on the laws where the property is located, the tax buyer will be entitled to get a deed issued and will become the owner of the property. Unfortunately, your situation would not allow you to become the owner of the property. Your husband and his siblings should pay up or the property will be lost. In the alternative, you could offer to pay the taxes for them if they agree to convey title to the home to you. If they are set on losing the property, you’d hope they’d be willing to sign a deed granting you title to the home. Good luck.